Wes Anderson's films are an eclectic hodgepodge of reserved goodness; some sweeter than others, but all resilient as tested by time, and a perfect evening in the present. I know. 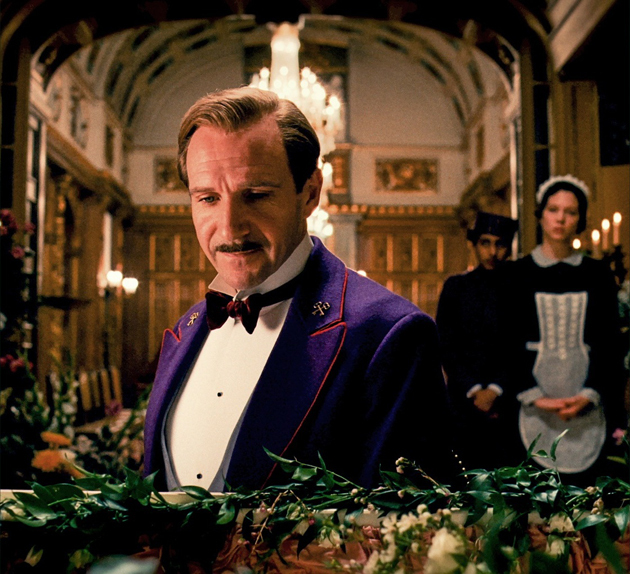 We rented The Grand Budapest Hotel as soon as we could get a copy of the DVD, and we were pleasantly entertained, which is almost always the case with his films on the first viewing, and always on the second. Upon this first sitting, we were struck by this fine film's rich representation of Wes Anderson's unique storytelling, yet look forward to it, once again, the 'second time around'. 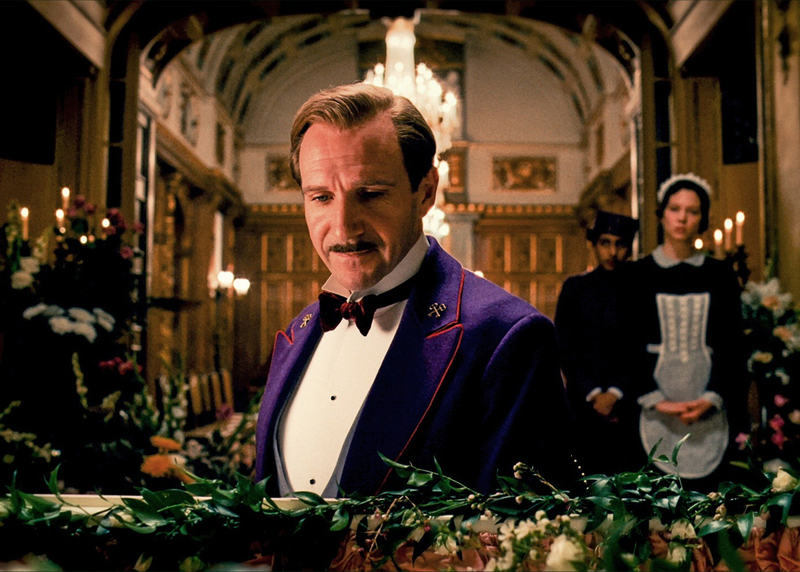 Is "The Grand Budapest Hotel" truly emblematic of all Wes Anderson films? Yes, because the film is deliberately, and now ironically staged in the center of each frame of film. One can argue that this perfect placement, as if modeling a fine garment, is for emphasis to better tell the tale in images; or contend that it is just an affectation of an eccentric director. I would argue definitely to one, and maybe not so much to the other, and I may well directly reverse that opinion, again, and then again, as if the direction of my analysis was that of a directionless weather-vane lost in its way as if directed by a fickle breeze. 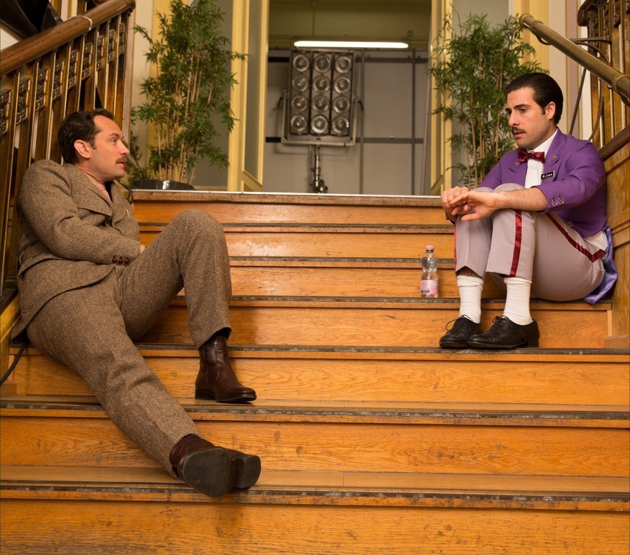 Jude Law, as the author in the mid-1960's, discussing the hotel with Jason Schwartzman, the antithesis of a concierge such as Gustave H.: Above. Click on the image to expand. Yes, because this zany film tells much in the first viewing, and yet I could still see the dense layers of side stories within these perfectly placed characters that would be alternately revealed in later viewings. Yes, because the story begins, proceeds and ends without a huge dramatic push, but becomes more known, even oddly normal in retrospect, as the center-weighted staging of each frame of film is so understandably abnormal. Yes, in the immutable fact that most of the actors that Director Anderson has used in his previous films showed up once again, if only for a cameo, but no in the pure reality that there were so many new actors this time around. Tony Revolori as Zero (left) and Ralph Fiennes, as Gustave H. (right): Above. 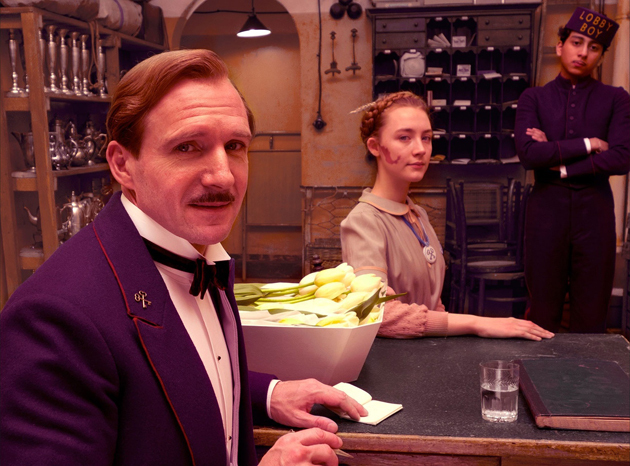 In fact, the lead roles, if there are ever lead roles in Wes Anderson films, were occupied by first-timers: Ralph Fiennes, as Gustave H., the devoted hotel concierge; and Tony Revolori as Zero, the precocious, overachieving lobby boy. Also new faces in important roles was Tom Wilkinson, as the writer of this story, Jude Law as the Tom Wilkinson character as a younger man, and F. Murray Abraham as the Zero (the Lobby Boy) character as an older gentleman relating the story to Jude Law's character of the younger author. 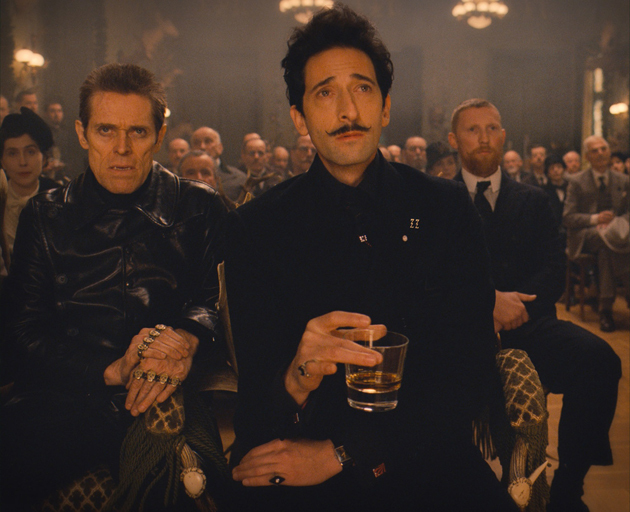 The other new actors, in this film, to find a home in Wes Anderson's stable of talent was: Willem Dafoe, as Jopling, the thug; Saoirse Ronan as Agatha, the baker; and Jeff Goldblum as Deputy Kovacs, the counselor. 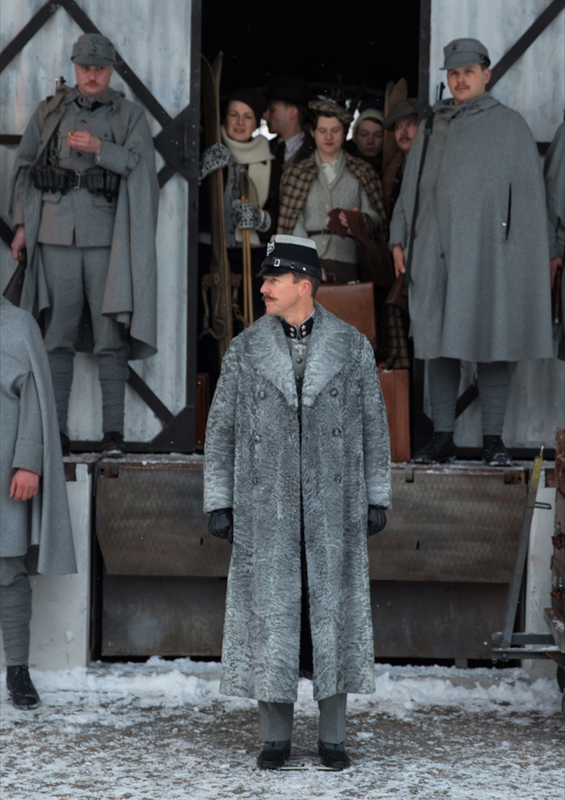 Gustave H., Ralph Fiennes, (left) always had an eye for detail. If he had one weakness it was, by his own admission, "I go to bed with all my friends": Above. Gustave H. (left); Agatha, Saoirse Ronan, (center); Zero, Tony Revolori: Below. After this sitting, which Gustave H. conducted as an interview exclaimed in private to Zero: I must say, I find that girl utterly delightful. 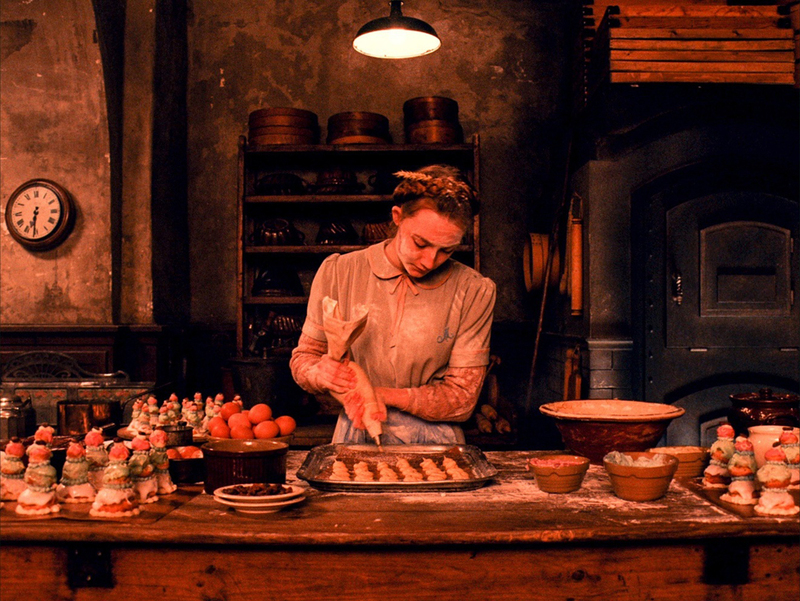 "Flat as a board, enormous birthmark the shape of Mexico over half her face, sweating for hours on end in that sweltering kitchen, while Mendl, genius though he is, looms over her like a hulking gorilla. Yet without question, without fail, always and invariably, she's exceedingly lovely." Click on the image to expand. Now for the divergence from the standard Wes Anderson practice. 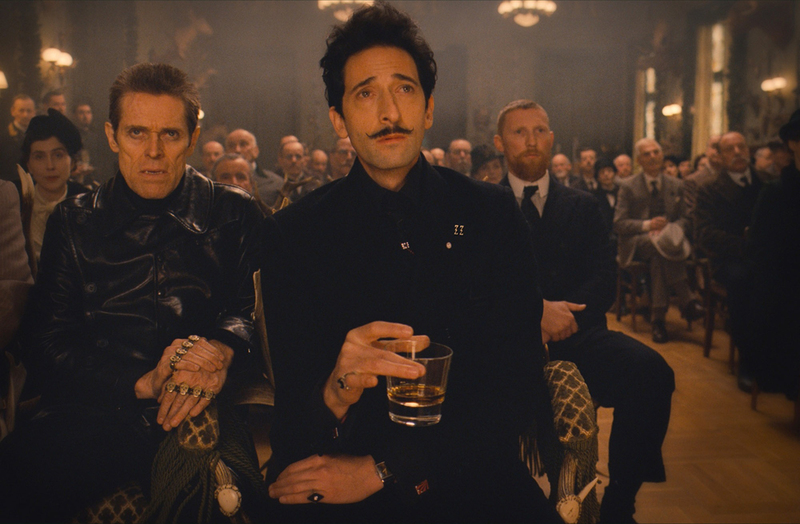 Adrien Brody, as the malevolent Dimitri, and a Nosferatu like Willem Dafoe, as his thug, adds a dimension of evil here fro our heroes Gustave H. and Zero: Above. Click on the image to expand. The soundtrack is not an important element to the success of this story. 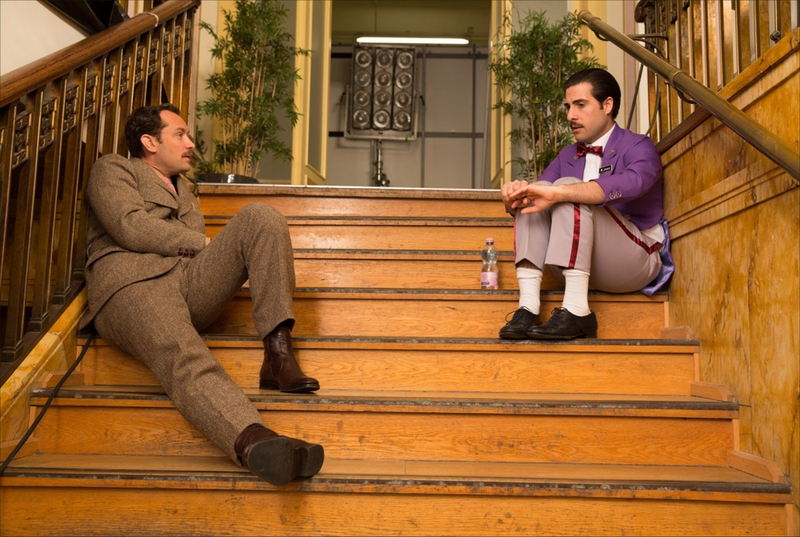 For whatever quirky, eclectic practice, Wes Anerson has relied on in the past is simply not present in his latest production, and then again, I may find it in a future viewing of "The Grand Budapest Hotel"; however, for now, I did not see it. At the conclusion of the story, there was no epiphany sequence, where the subject characters of this great awakening all move in slow motion as an eclectic song, perfected scored, becomes the exclamation point of the story told, such as it was in Royal Tenenbaums. This Anderson tale was more of a farcical rendering of the indelible attributes of friendship, honor, integrity and duty under fire. Yes, it was funny as some farces are, but the story, told however quirky in Wes Anderson style, was the the driving force of this feature's purpose, and it was told well. 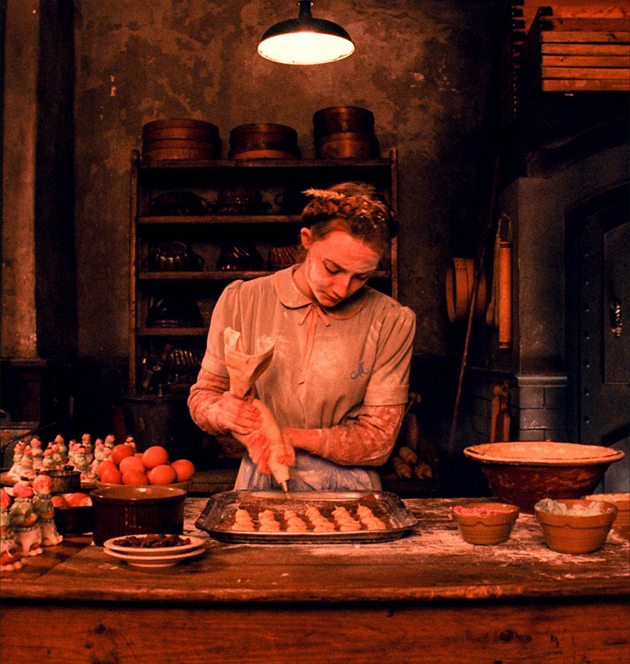 Agatha, Saoirse Ronan, slaving in Mendl's bakery, with her "enormous birthmark the shape of Mexico over half her face": Below. Click on the image to expand. 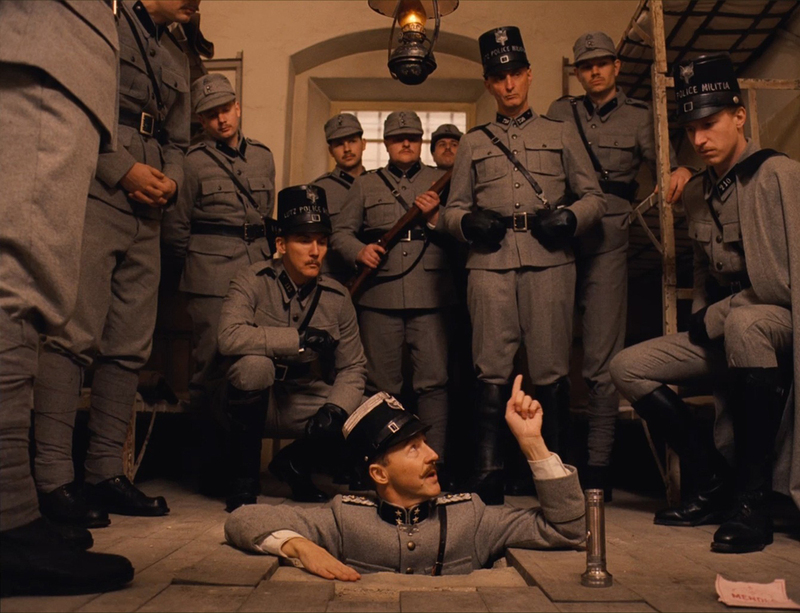 The story, based on Austrian Stefan Zweig's original story, was Wes Anderson's incubator, where he fleshed out a screenplay that told of the madcap misadventures of Gustave H. and Zero, in which they make discovery of dishonorable deeds, and survive to recount them in a most interesting satire of sorting out the interpersonal, and intergovernmental 'wheat from the chaff'. The time and place is pre-World War II Hungary, in a the Bavarian village, where the Grand Budapest Hotel is the nexus of the local economy. Edward Norton, as the as the newly indoctrinated police / ZZ inspector, keeps the peace, or is it, he furthers the fascism by directing his cadre of deputized thugs: Above and below. Click on the image to expand.